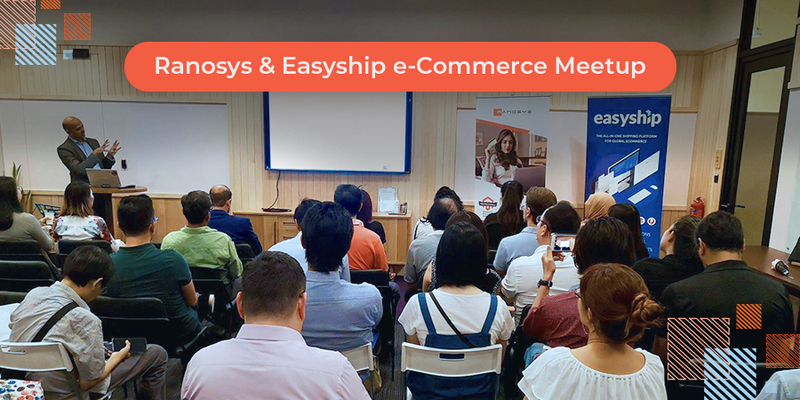 Ranosys and Easyship organized an eCommerce event on 30 October 2018, at WeWork Beach Centre, Singapore. Graced by experienced speakers, eCommerce merchants and technology providers, the event was focussed on helping store owners optimize their store processes and maximize their eCommerce conversions. Vijay Pagadala, CSO, Ranosys Technologies, delivered an informative talk on how eCommerce merchants could grow loyalty, increase sales revenues and boost conversions. Moving forward, Sudhir Mehria, Customer Success Manager, Ranosys Technologies, shed light on how conversational chatbots engage users on eCommerce stores thereby providing a new channel for increasing conversions. Zak Tan, Lead Business Development at Easyship, helped the audience understand about a seamless checkout process on Easyship platform to align with merchants shipping policy. The speaker presentations were followed with networking over drinks that helped the attendees to interact with each other. We look forward to meeting you at the next eCommerce event! For pics of the event, click here.